Discover a highly effective and non-invasive detoxifying treatment, which through effective lymphatic drainage, helps to promote the body's natural toxin clearing functions. Pressotherapy is a computer controlled compression system, which operates using inflating pumps. The device has separate chambers, which are positioned around the limbs. These focus on moving the venous and lymph flow, starting from the ankles and moving to the upper thighs. Designed to increase blood circulation and lymph flow, Pressotherapy enhances extra-cellular fluid clearance, reduces bloating, swelling and edema, alleviates leg fatigue and improves oxygen flow through the whole body. 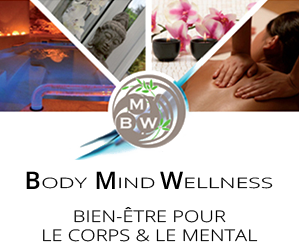 Pressotherapy at Body Mind Wellness can be used in conjunction with body contouring treatments by the Starvac Group to firm, tone, improve circulation and increase lymphatic drainage. A great, relaxing alternative to liposuction, which can be coupled with fat mobilization treatments for exceptional results. The Starvac Technology uses 100% natural creams in combination with computerized massage heads that penetrate superficial and deeper fat layers and reeducate the metabolic processes without damaging the skin.